Let's start creating a node, for example a Blur node. 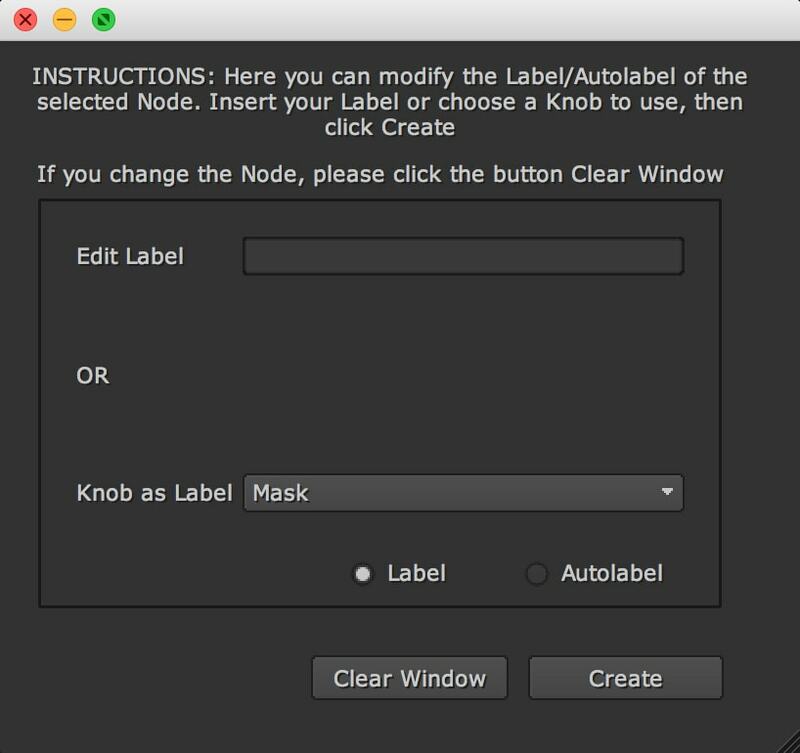 If you want to modify the Label, please open the Properties of the node, under the tab Node and insert this string in the Label knob. 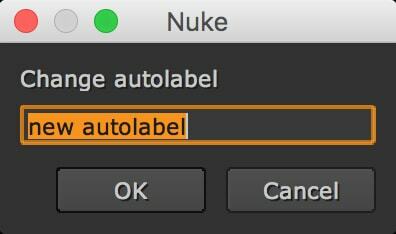 In Nuke, there is a hidden knob called Autolabel. You can modify the Autolabel with Python easily. Otherwise, select the node and execute this other code. Result will be the same. In this case you can create a Panel where insert directly the Label, without open the Properties of the node. In the second example you can modify the Autolabel. Usually when you create a Gizmo with a Pulldown Choice menu, it is added automatically to the Autolabel of the node. In this case you can reset the Autolabel, keeping only the name of the node. In this case, I'm going to check the value of the gain (actually the name of the knob is 'white'). If the value is > 1, then Autolabel will be 'lighter', otherwise will be 'darker'. autoLabel = "nuke.thisNode().name() + (' lighter' if nuke.thisNode()['white'].value()>1 else ' darker')"
With addAutolabel, you can add an Autolabel every time that you create a node of the same Class. In this example, every time that we create a Transform node, you will see the Autolabel. If scale is > 1 then it will print 'big' and if the scale is < 1 'small'. You can insert this function in your menu.py (or any python modules that are imported). You can have multiple autolabel handlers so you don’t need to cover all node classes in one function. Ok, perfect! 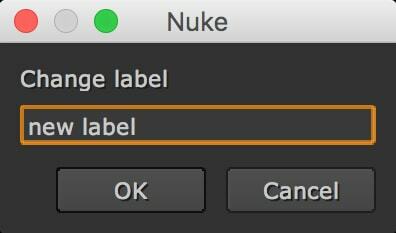 Open Nuke, select a file and execute in the Script Editor file Change_Label_Autolabel.py. value = "[value " + self.menu.currentText() + "]"
Insert the text that you want or select a knob. Choose if you want to add this new element to the Label or Autolabel and press Create.